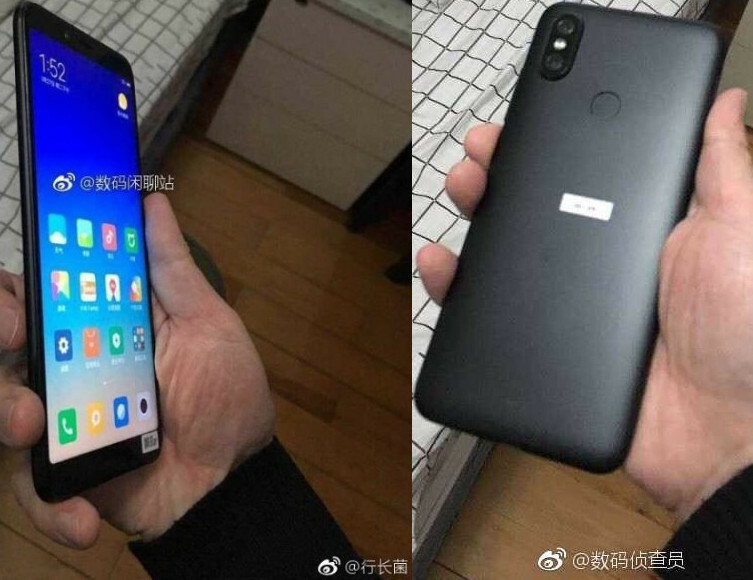 The successor of the Xiaomi Mi A1 has apparently arrived in leaked images. The phone has been dubbed as the Xiaomi Mi 6X. Currently, Xiaomi is selling the Mi A1, that it launched in India as an Android One device as Mi 5X in the Chinese market. While there were speculations about the phone, the fresh images leaked on Weibo show the exact design of the device. Featuring dual rear cameras, the Xiaomi Mi 6X is shown with an 18:9 aspect ratio and is expected to come in two colour variants. Still in rumours, the Xiaomi Mi 6X has been spotted in China. To start with, this phone is tipped to succeed the Xiaomi Mi A1 here in India. Like before, the Mi 6X is expected to be launched as the successor of the Mi A1 in India. The phone has been leaked on Weibo and shows the full design of the device. Talking about the display first, the phone is shown with a 5.99 inch full HD+ display with 18:9 aspect ratio. The front bezels on the phone look more refined and there are no on-screen navigation buttons which point to capacitive keys below the display. Coming to the rear, you will notice a vertical dual camera setup, similar to the one on the iPhone X. The configurations of the setup is not known but it can be similar to the current Xiaomi Mi A1, or the Mi 5X. For hardware, the phone is expected to be powered by the Surge S2 chipset from Xiaomi. The unannounced chipset is expected to make a debut at the MWC 2018 in Barcelona next month. This processor is reported to be accompanied by a Mali-G71 MP8 GPU and UFS 2.1 LPDDR4 RAM. The storage on the Xiaomi Mi 6X is not yet known. Since it is the successor of the current Android One smartphone, we expect the device to run Android 8.0 Oreo out of the box. This is expected to be stock Android which will receive direct updates from Google. However, in China, the device will be launched with MIUI skinned on top.